“Family at Ease” uses the family unit as the foundation to promote mental health in young people. The project consists of two areas: the counselling area combines professional counselling with Christian faith to tackle emotional problems and build positive characters in young people; the education area strengthens the understanding and bonding between young people and their parents so that the family can act as a safe haven during times of adversity. In the third year of the project, with the backing of CPF, Breakthrough incorporated new elements to parenting education in this project. Besides increasing the number of existing parenting talks and workshops, Breakthrough published a book and a series of videos (8 episodes) to teach parents through case studies the techniques to communicate with their children better. 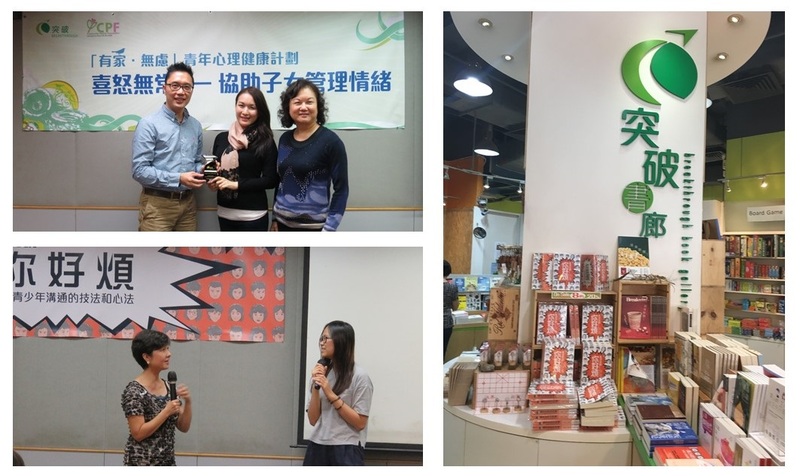 The new book & DVD set was launched at the Hong Kong Book Fair in July 2016 and a talk was held on 23 July to share with parents the insights from the book. 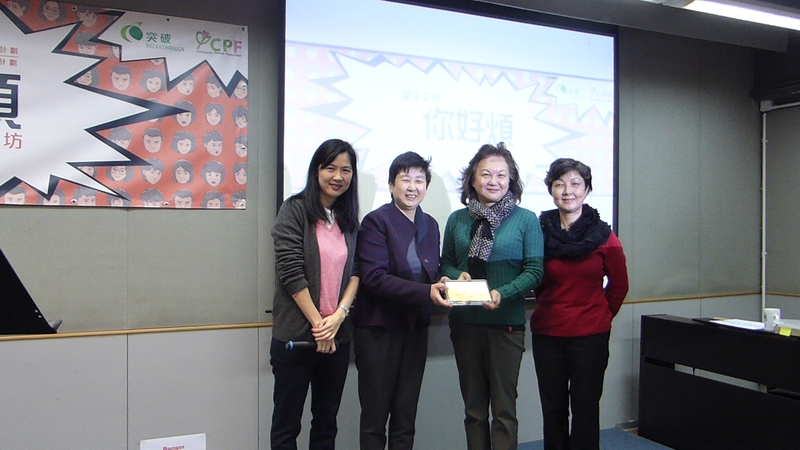 The first kickoff parenting talk in 2016 was held on 14 October. 40 talks will follow in 2017. To increase the impact of the new book, Breakthrough organized two “Train the Trainer” (TTT) workshops on 18 & 21 January 2017 respectively. These TTT workshops aimed to share the communication skills in the book and in the DVD to social workers, who would then hold their own workshops to teach those skills to parents.